The sun had barely began to creep over the horizon before crowds of people began streaming through the gates of the Sta. Monica Elementary school, in Hagonoy, Bulacan. All were alight with the frenzied buzz of excitement, and word had spread quickly – the ABS- CBN Lingkod Kapamilya Caravan had rolled into town. 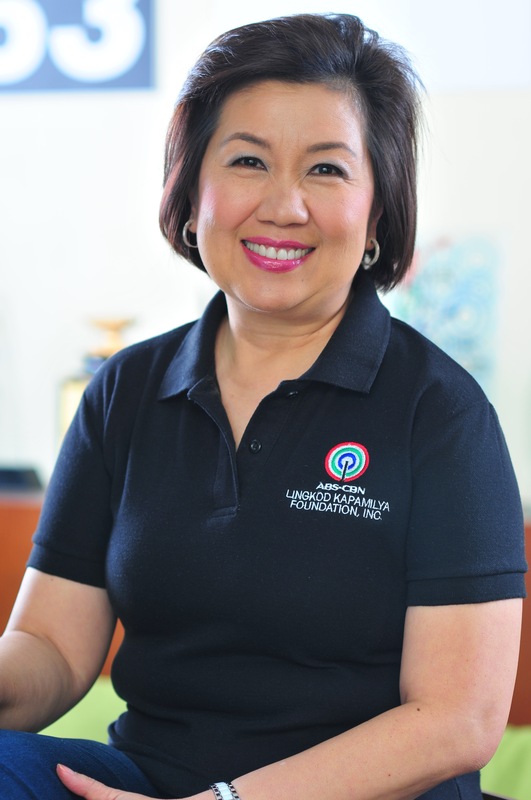 In fact, this was not the first time that such an event had been held; the ABS-CBN Lingkod Kapamilya Caravan aims to hold this annually, with the goal of providing the attendees with the pampering and relaxation that hard-working parents deserve. 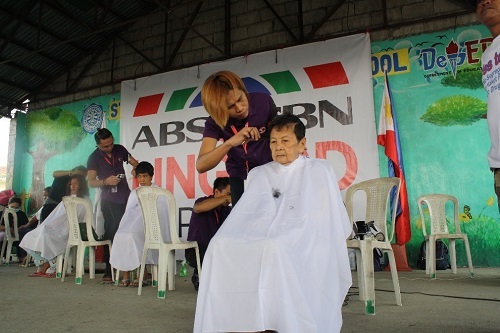 This year, the ABS-CBN Lingkod Kapamilya Caravan was carefully planned to coincide with Father and Mother’s Day. 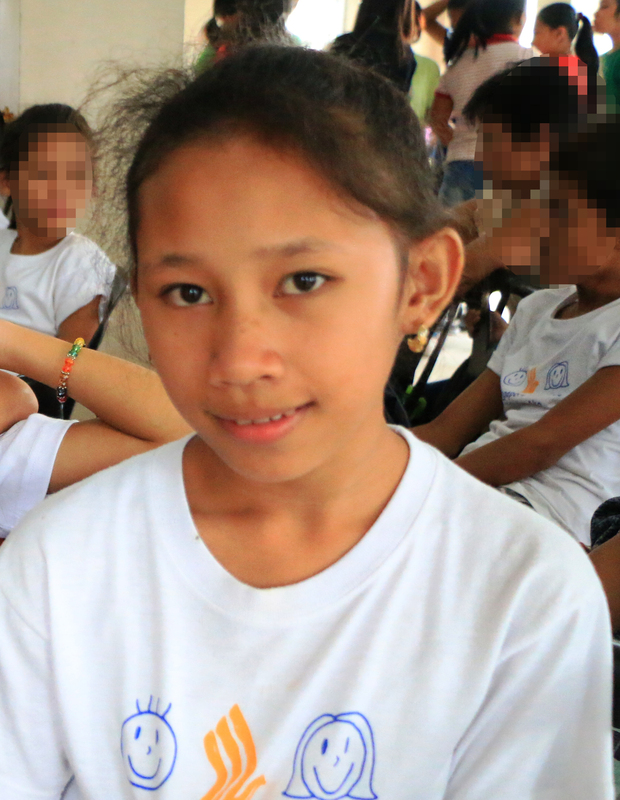 With a multitude of activities and programs present, the Tatays and Nanays with their whole families could avail of each to their hearts’ desire. Services included haircut and styling, massage booth, manicure, pedicure, job assistance station, medical and dental mission, free optical check-up and prescription of eyeglasses, dispensing of free medication, and even included a station where attendees could undergo Complete Blood Count (CBC) Blood Sugar Test (BST) and urinalysis. Tulong Center workers and employee volunteer Charlene Bernardo of Big Dipper greet attendees as they enter the event grounds. In another corner of the covered court is the DZMM Teaching Learning Caring truck, another long time veteran of medical missions and community outreach programs. A virtual rolling library, the TLC truck carries stocks of story and activity books, and is more often than not swarming with children from the community, intently listening to stories told by DZMM staff and Knowledge Channel celebrities. The crowd’s attention, were largely focused on the covered court at the center of the campus, in which were parked ABS-CBN’s unique and innovative program vehicles, each designed to project the ABS-CBN experience and goodwill out to the community. As they entered the grounds, the bright yellow Operation Sagip Mobile Soup Kitchen, producing bowls of hot delicious porridge arranged appetizingly on trays greeted the attendees. A veteran of numerous disaster and calamity response actions across the country, it is a refreshing change of pace for the Operation Sagip Mobile Kitchen truck to be utilized for much lighter and cheerful, but still meaningful, purpose. The main attraction, however, came in the form of the Sorpresaya truck, a flat bed truck equipped with a large LED screen and modified to serve as a mobile performing stage. The Sorpresaya truck comes fitted with a complete sound and lighting suite, and attendees gathered to enjoy the entertainment program. The program itself was hosted by veteran ABS-CBN Lingkod Kapamilya member Elmer Chavez and news personality Gretchen Fullido, and included such acts as the Cinemo Kumikeros, Team Yey Kids, Lyka & Ehla of the Voice kids, Disaster Preparedness Lecture by the President of Wilderness Search Rescue, Livelihood programs (Soap & Chocolate making), Games and Entertainment by TV Plus, ABS Mobile and Sky Cable. As the sun rose higher into the noon time sky, and the tide began to roll in, the festivities began to wind down. The attendees had fully enjoyed a day of pampering, and entertainment, and many were returning home with prizes and giveaways.